A Reminder – look forward to seeing you next Saturday!!! The date for the individual members competiton this year is on Saturday the 10th of September @ Glengavel Reservoir (Fly Only) – please put this date in your diary now – all our members are welcome at this competition both of the River & the Reservoir. It means that if you are a member of the river you are intitled to a free day on the reservior (on Saturday 10th September only) and a years fishing on the river for only £10.00 – what other membership of an Angling Association offers that level of value. 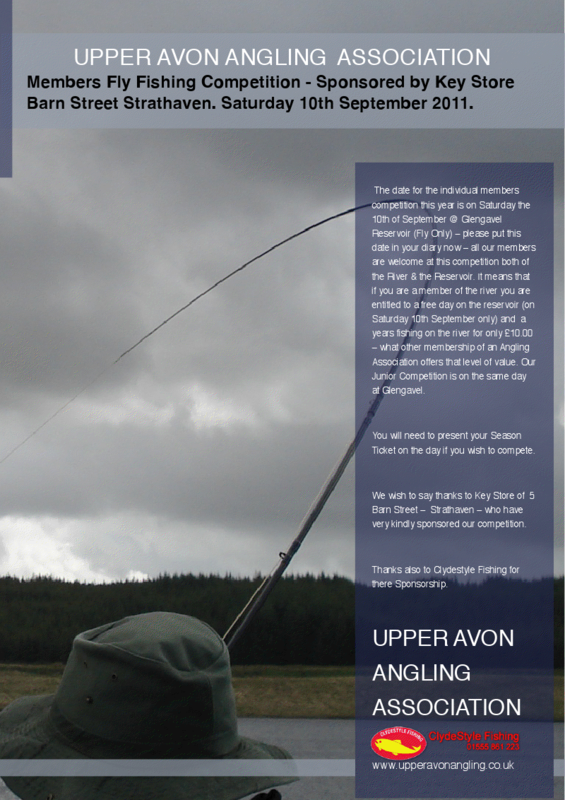 Our Junior Competition is on the same day at Glengavel – so if you are a Junior Member & you fly fish please come along. If you are a Junior Member & you do not fly fish please also come along. We have Committee Members who have Disclosure Scotland & will be only to happy to provide some basic lessons on the day to get you started. We wish to say thanks to Key Store of 5 Barn Street – Strathaven – who have very kindly sponsored our competition. Also delighted to announce that Clydestyle Fishing has again agreed to donate some great prizes details to follow – Thanks Again to Scott Kane of Clydestyle Fishing. We would ask if you wish to take part – can you please post a response at the bottom of the page with your name & ticket number. On the day you will need to bring your season ticket along when you book in to compete – more details to follow. Ticket in fishing and I will be there, fantastic gesture by sponsors once again, many thanks. Didn’t manage to get out this weekend but will be getting plenty of practice before September. Surprised our club secretary with his prized “Hairy Mary” is not running a book on this one. Penned into the diary but more importantly put into the works diary via a permanent marker. 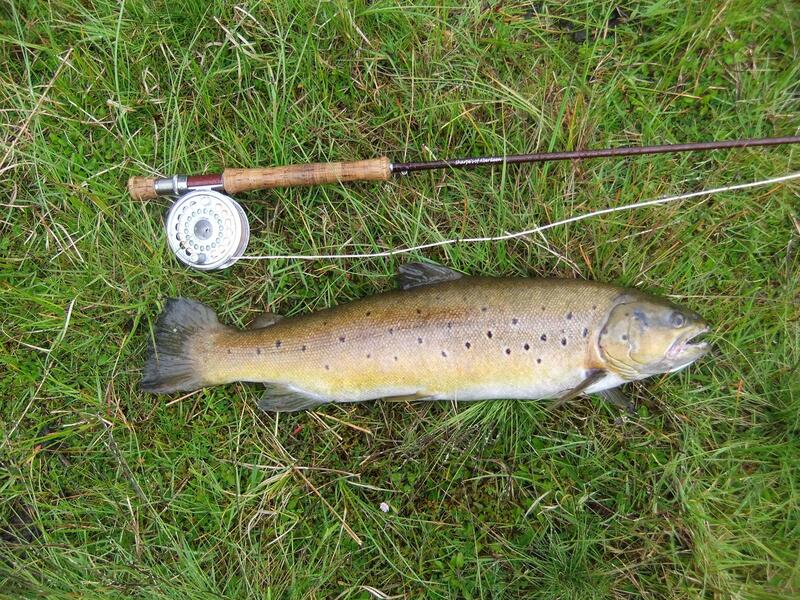 Not that I need an excuse to fish Glengavel but there are some great prizes up for grabs. A big thank-you to all the sponsors and the committee. Just another thanks from the U.A.A.A, what another fantastic prize cant wait for the big day now. Thanks again. Just like to add my thanks. It’s great to see local business supporting local anglers. hi all this is just to thank the sponsors for the next competition for there donations KEY STORES FROM STRATHAVEN for the various prizes. SCOTT FROM CLYDESTYLE for his wonderful price yet again cant wait to use that rod scotty. What a fantastic prize, A big thank you from our club and a big thank you from the competition convenor. Scott – what a fantastic prize to offer up – just wish to say thanks on behalf of the Association – spoke with most of the Committee today & they all want to pass on there thanks for such a generous gesture!!! Will be putting up a page soon for all the UAAA partners & you will be prominently displayed. Thanks once again – we are delighted to accept this sponsorship. Myself ticket no. 211 and my daughter Amy ticket no. 212 (junior member) will be there. Hope it is not as windy as the last competition. Dates in the diary .